We asked and they generously flooded us with stories - INTERACT stories, that is! Several months ago, we invited providers from around the country to share INTERACT stories with us... not the 101-level stories, but the kind where INTERACT was deeply imbedded into the culture of the organization. We heard from people who shared ways that they had involved the hospitals, community, medical directors and families. Many had found creative ways to advance INTERACT into their culture. Now, they will be sharing their stories with you on a webinar designed to share their success. In this informative session, participants will have the opportunity to hear how four different organizations advanced the use of INTERACT within their setting. 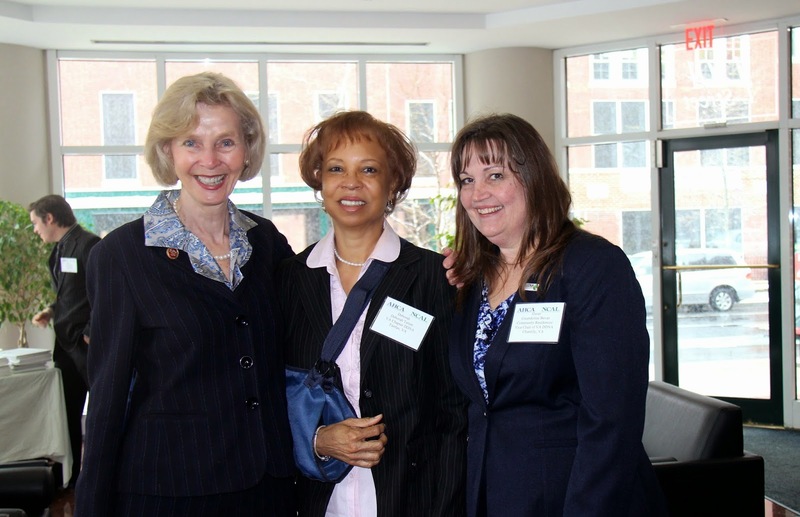 INTERACT has played a key role in helping many organizations reduce unnecessary hospitalizations. Ideas on how to use these tools, how to spread them throughout the organization, how to get buy-in, and the fabulous results of these determined leaders will be some of the stories you will hear. Sign up for this complimentary webinar now! Since the outset of the Quality Initiative, many of you have been making great strides and the results are showing! The most dramatic change can be seen in the reduction of off-label usage of antipsychotic drugs, where the average rate for AHCA members has decreased by 14.7% as of the third quarter of 2013 (the most recent data available). This outpaces the results nationwide, which show a 13.1% decrease for all nursing centers. Almost half (48.9%) of AHCA member centers had met the goal of a 15% reduction by this reporting period. On 30-day hospital readmissions, we have seen a 3.8% decrease in the average rate for all centers nationwide and among AHCA members, 3.3%. Almost one-third (32.3%) of AHCA member centers have already met the 15% reduction target – a three-year goal. To put all of this in more personal and tangible terms, these results translate to almost 35,000 people who are no longer taking antipsychotic medications and 43,300 readmissions avoided. Given the risks of complications and adverse events associated with both of these things, these changes mean that your hard work and effective changes to your practices have resulted in better outcomes for over 78,000 individuals across the country. You are improving lives every day! AHCA recently received an important clarification via email from CMS regarding when Part B therapy providers should issue Advance Beneficiary Notices (ABN’s) related to services provided above the current $1,920 therapy cap. CMS also advised how to properly code this on claims. Should providers issue mandatory or voluntary ABNs to beneficiaries that request additional therapy services beyond the $1,920 cap threshold? If claims with services beyond the $1,920 cap threshold are billed in order to receive a non-covered service denial, which modifier should be used? If the therapy exceptions process isn’t extended, therapists will be required to issue the mandatory Advance Beneficiary Notice of Noncoverage (ABN) for all Medicare-covered therapy services provided above the cap in accordance with §1833(g)(5)(D) of the Social Security Act which extends the limitation of liability provisions to services over the cap that aren’t paid by Medicare. With a therapy cap exceptions process in place, ABN issuance is not required for medically reasonable and necessary therapy services provided above the cap amount since the claim may be submitted with a –KX modifier for Medicare payment. However, if there is no provision for Medicare payment (e.g. hard caps without exceptions), the ABN is statutorily required for services provided above the cap in order to shift financial liability to the beneficiary. Therapists must also continue to issue the ABN for therapy services that aren’t medically reasonable and necessary regardless of therapy caps. When an ABN is issued, the –GA modifier is applied to the claim. The –GY modifier is used for services that are statutorily excluded or not a Medicare benefit and never covered by Medicare. For example, once a beneficiary has reached his goals and is discharged from therapy, he may wish to continue on a personal training program with his therapist and pay out-of-pocket. In this case, if the beneficiary wants a Medicare claim filed for the personal training services, the –GY would be applied to the claim. Proper compliance with Medicare ABN requirements is essential to assure that both beneficiary and provider financial rights are protected. If the therapy caps exceptions process extension is not enacted by March 31, then SNF providers should be prepared to comply with the ABN requirement clarification described above for services furnished above the $1,920 therapy caps threshold. As providers turn their attention to achieving gains in safely reducing hospital readmission and reducing the use of antipsychotic medications, they often run into a Plexiglas barrier - staff stability. That’s right! Many times, centers find that in order to achieve the AHCA Quality Initiative goals they must take a hard look at staffing. Staff stability is the bedrock of great care. Staff stability is the launch pad that lifts centers into more creative and advanced care. Without staff stability centers find themselves constantly putting out fires, struggling just to keep the day-to-day operations moving, and frequently find all of their time caught up in a vicious cycle. Strategy 4: Walkabouts/Rounding on Direct Reports. You will find these tools to be an enormous support. Even if you have tamed the staff stability tiger, they can be a great refresher. Along with the toolkit is a helpful guide for leaders that can be shared with members of the leadership team. There’s also a cost of turnover calculator (an Excel file), and a webinar that can put you well on your way to staff stability. All of these resources are exclusive to AHCA members (require login and password) and can be found on the Staff Stability page of the Quality Initiative website. Save money! Save time! Maximize the benefit of being an AHCA member by using professional tools created by experts and colleagues. Consistent Assignment - it is quite an accomplishment to achieve it across all shifts and weekends! We hear from many centers that have begun the shift or who have been working on it diligently. It is probably one of the modifications in organizational culture that is most difficult to make. We hear frequently from staffs who tell us that they can get it to work on one unit, but not across the organization; or they have it working really well . . . but not on weekends. The importance and impact of consistent assignment cannot be underestimated! Studies and research bear out the facts that staff are much more responsive to changes in resident’s condition, have stronger relationships with residents and are likely to enjoy their job more in a climate of consistent assignment. We know there are many tools and resources out there and that harvesting them becomes a time consuming and confusing process. So, AHCA put together a simple resource booklet exclusive to AHCA members (password required) with hotlinks to the best resources and a simple process to follow when embarking on the consistent assignment journey. Save time and use this simple booklet to advance your consistent assignment journey. Recently, AARP published a report that painted a striking picture about the future of care, family caregivers, and the widening gap between supply and demand. AARP attributes these estimates to a few factors. First, the cohort of those most needing long term services and supports (LTSS) –those 80 years and older – is expected to grow substantially during the next 20 years. Second, the number of people in prime caregiving age – 45 - 64 years – will largely remain flat because of changing family size and composition. The end result is a low number of family members that will be able to coordinate and provide care to a high number of aging family members. AARP predicts this problem to exacerbate further as family caregivers age themselves. What do you think about the future of family caregiving? Leave a comment in the section below. This week, the Obama administration announced that it will extend the March 31 deadline for signing up for health care for individuals who have had trouble finishing enrollment in time. Consumers that have begun to apply for coverage on HealthCare.gov, but who do not finish by the enrollment deadline of this Monday, will have until about mid-April to ask for an extension. More details can be found in this Washington Post article. According to a recent email alert from Politico, more than five million people have signed up in the state and federal exchanges, and administration officials say volume has been very heavy on the websites in the final days. Approximately 40 care providers and associations serving and advocating on behalf of individuals with intellectual and developmental disabilities flew in to Washington this week to advocate for their profession. Speeches by Members of Congress and Congressional staff at AHCA offices were followed by meetings in dozens of Congressional offices. Issues the group stormed the Hill on can be found here. Congresswoman Lois Capps (D-CA), a former nurse, spoke to the group about the importance of advocating for those individuals with disabilities. Additionally, former Congressman Jim McCrery (R-LA), as well as staff from the offices of Sen. Jay Rockefeller (D-WV) and Rep. Ander Crenshaw (R-FL) gave updates on the political landscape and the status of legislation affecting the ID/DD community. The AHCA members braved an usually late snow flurry throughout the day as they visited members of key the committees making health care decisions. The fly-in comes at a critical time, as this is the last week for Members of Congress to come to a decision regarding the sustainable growth rate (SGR). Health staffers are busy trying to find offsets to pay for an update for doctors' payment. 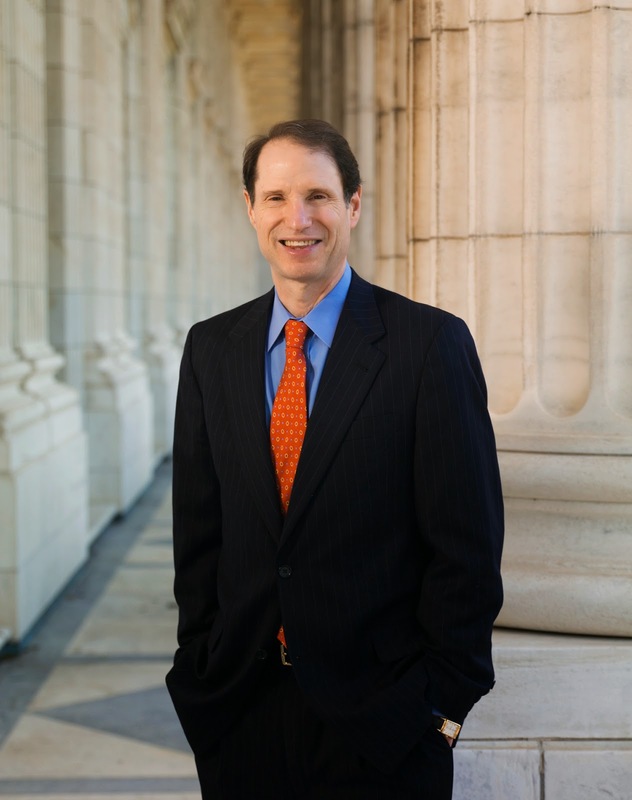 AHCA is excited to announce that Sen. Ron Wyden (D-OR) will be a keynote speaker at the AHCA/NCAL Congressional Briefing held May 20-21. The senator recently assumed chairmanship of the powerful Senate Finance Committee and has taken the charge on many Medicare, Medicaid, and health care issues since former chairman Max Baucus retired to take a job as ambassador to China. Sen. Wyden is well-known in Washington as an advocate for health care providers and the elderly. He previously taught classes in gerontology and founded the Oregon chapter of the Gray Panthers. Registration for Congressional Briefing is currently open and it is FREE to participate! Wear these bright buttons throughout National Nursing Home Week®. Buttons easily attach to clothing, lanyards, bags, and more. Be sure to share buttons with family members, volunteers, business partners and community members that come to your center or participate in special events. Buttons are a cost-effective way to share the “Aloha Spirit” with everyone! Don’t wait until the last minute. Our National Nursing Home Week® products are very popular and will sell out. Plan ahead and place your order early to ensure product availability, size, and color selection and timely delivery. Order online or by phone 800-321-0343. AHCA/NCAL and LeadingAge continue to hold an agreement with the Motion Picture Licensing Corporation (MPLC) that exempts nursing and assisted living facilities from licensing fees for showing video performances in common areas. Long term care facilities with independent living units are required to pay reasonable licensing fees. Low income senior housing units or facilities which have a Housing and Urban Development (HUD) contract; however, will pay MPLC lower fees if they provide MPLC with both the project number and the number of HUD units. Further, all facilities using closed circuit television will be required to pay reasonable licensing fees under an MPLC Umbrella License based on the number of connections. Any AHCA/NCAL and LeadingAge member who is required to pay MPLC licensing fees will receive a 10% discount and may receive additional discounts based on the number of licensed facilities owned. If you have questions/concerns, don’t hesitate to contact either Lyn Bentley or Dave Kyllo. 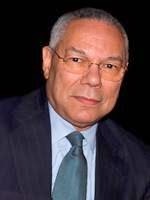 AHCA/NCAL is pleased to announce that General Colin L. Powell (Ret.) is the keynote speaker at this year's 65th Annual Convention & Expo. For over 50 years, Gen. Powell has devoted his life to public service. His deep commitment to democratic values and freedom has been felt throughout the world. Hear what Gen. Powell has to say and get inspired! 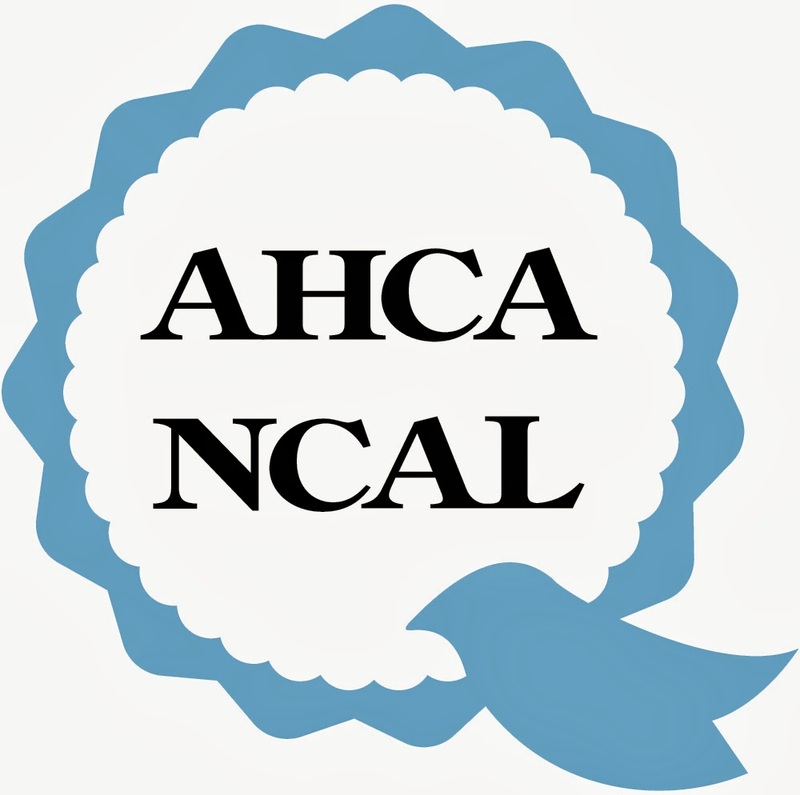 AHCA/NCAL's Convention & Expo will be in Washington, DC this year from October 5-8, 2014. Gen. Powell will keynote the opening general session on Monday, October 6th. Get ready! Registration and housing for this year’s Convention & Expo opens April 15th. Keep checking www.ahcaconvention.org to learn about other great speakers and events. The opening keynote session is sponsored by McKesson. As part of the Quality Initiative Recognition Program, AHCA/NCAL wants your 2013 customer satisfaction results. If you’re a member with 90% or more of customers (i.e., short-stay patients, long-stay residents and/or family members) indicating a willingness to recommend your center or community to others, then you could be recognized! The Quality Initiative Recognition Program is designed to recognize AHCA/NCAL nursing center and assisted living members that demonstrate the attainment of one or more of the four AHCA/NCAL Quality Initiative goals… including customer satisfaction. If you achieved this goal, you could be honored at AHCA/NCAL’s 2015 Quality Symposium in Austin, Texas. If you’ve also reached other Quality Initiative goals, you could earn more rewards – such as special recognition at the conference, and being featured in Provider Magazine and in a national release from AHCA. But you have to send AHCA/NCAL your customer satisfaction results by May 1, 2014 in order to be considered for the highest levels of recognition. If you’re an individual center, then you submit your 2013 results through our online survey. If you’re from a corporate office, submitting your company’s results on behalf of multiple centers, please download and fill out our Excel file for Multis. You can then email it back to research@ahca.org. Submit your 2013 results through our online survey. If satisfaction rates are reported separately for different customer groups (i.e., short-stay patients, long-stay residents and/or family members), this goal will be considered met if 90% or more of at least one of the surveyed groups indicates their willingness to recommend the center to others. Customer satisfaction ratings provide a rich source of information for people seeking long term care services for themselves or for a loved one. Many consumers already ask prospective facilities for their customer ratings, and the trend is moving toward greater public reporting. If you haven’t started implementing these surveys yet, please considering doing so. For more resources on how to improve your overall customer experience (and your survey results), please visit the Customer Satisfaction page of the Quality Initiative website. The 2014-2015 election cycle has officially opened for AHCA members in good standing interested in running for the AHCA Board of Governors. The AHCA elections are for three officer positions (Chair, Vice Chair, Secretary/Treasurer), one Not for Profit Representative, one Multifacility Representative and three At-large Representatives. AHCA members interested in running for an AHCA Board position may obtain the necessary candidacy materials on the AHCA website. Applicants must complete and electronically submit the AHCA candidacy materials by close of business on June 2, 2014. Candidates will submit completed materials by sending an e-mail to Christy Sharp at csharp@ahca.org. The AHCA elections will take place during the second Council of States meeting at the AHCA/NCAL 65th Annual Convention & Expo, October 5-8, 2014, in Washington, DC. Once the application phase has ended, the AHCA/NCAL Credentialing Committee will hold an in-person meeting to conduct a certification process for each candidate. Once certification occurs, AHCA will announce the slate of candidates to the membership. If you have further questions, contact Christy Sharp at csharp@ahca.org or (202) 898-2839. Check out our previous blog on the exceptions process for Medicare Part B therapy caps possibly expiring on April 1. AHCA has discussed the status of the Medicare Part B therapy manual medical review (MMR) program with an official at the Centers for Medicare and Medicaid Services (CMS). Based on this conversation, we suggest that SNF operators and therapists consider how to manage and store the documentation associated with therapy MMR eligible claims being paid during the current RAC review ‘pause.’ For care centers, this advance work may ease the burden of having to locate and prepare therapy MMR “additional development request” (ADR) responses once the ‘pause’ ends and reviews resume. AHCA staff and members continue to work with Congress to pass legislation that would ease the burden imposed by the current therapy MMR requirement. We also continue working to educate CMS regarding our therapy MMR concerns so that future policy decisions are reasonable. Please contact AHCA's Dan Ciolek if you have questions. The current legislative provisions that provide an exceptions process to the Medicare Part B therapy caps, and enable providers to furnish medically necessary therapy services beyond $1,920 per calendar year to beneficiaries are due to expire on March 31 unless Congress acts before then. These services include physical therapy (PT), occupational therapy (OT), and speech-language pathology (SLP) services. SNF administrators and therapists should be aware of, and make preparations in case Congress does not repeal the therapy caps or extend the exceptions process by April 1, 2014. AHCA is providing this information to alert members to be prepared for the possible return of a hard cap on therapy services. If this occurs, any therapy services furnished on and after April 1 that are above the annual $1,920 cap threshold will not be considered a covered Medicare service. SNF providers would need to properly inform affected beneficiaries of the change in Medicare policy and of their plan of care and payment options going forward. It may be useful for administrators and therapists to review the CMS Advance Beneficiary Notice of Noncoverage (ABN) policy (see links below) so that you are prepared to comply with the beneficiary notification requirements should the “hard caps” return. We have requested that CMS provide any necessary updates to the FAQ as soon as possible if this situation occurs. Currently, with the exceptions process in place, SNF providers should not routinely issue ABNs to beneficiaries above the cap threshold. You may contact Dan Ciolek at AHCA if you have any questions. This week the Alzheimer’s Association released their annual Facts and Figures Report which present a startling reality about the future impact of Alzheimer’s disease in the U.S. The report includes information on growing death rates, the cost of the disease and the disproportionate burden of Alzheimer's disease on women. The number of Americans with Alzheimer’s disease is predicted to grow each year as the size and proportion of individuals age 65 and older continues to increase. As baby boomers age, this number will escalate even further. According to the report, nearly 16 million Americans may be living with Alzheimer's in 2050, at a cost of $1.2 trillion (in current dollars). Almost two thirds of those with Alzheimer’s disease are women. Check out the video below to get the report highlights. You may also download the report here. The policy agreement to repeal and replace the Sustainable Growth Rate (SGR) continues to be plagued by distinctly partisan funding battles. Last Friday, the House voted 238-181 for a version of the legislation that would fund a permanent replacement of the SGR with a delay of the Affordable Care Act’s (ACA) mandate that individuals purchase insurance. Twelve Democrats voted in favor of the legislation. The Senate is not expected to take up the proposal, given Senate Majority Leader Harry Reid’s (D-NV) reticence to not touch any legislation that affects the President’s landmark healthcare law. The White House released an advance statement on Wednesday noting that President Obama would veto any proposal that uses the ACA to fund another program. Meanwhile, Leader Reid told Speaker John Boehner (R-OH) that he wants to use Overseas Contingency Operations (OCO) funding to pay for another “doc-fix” that would patch physicians’ Medicare for another nine months. Use of the OCO funds—unspent money resulting from drawing down the wars in Iraq and Afghanistan—is expected to receive pushback from the GOP if included. The Congressional Budget Office (CBO) wrote in a letter to House Budget Committee Chairman Paul Ryan (R-WI) that the funds are considered discretionary and therefore cannot be used to offset direct spending, such as Medicare. Rep. Phil Gingrey, member of the House Ways & Means Committee and co-chair of the GOP Doctors Caucus said he’d “have an almost impossible time” voting for legislation that uses OCO funding. Members of Congress on both sides of the aisle have started to fear that the funding battles will derail the bipartisan, bicameral policy intended to replace the SGR and will instead result in yet another patch. Congressional health staff will certainly be busy this week searching for funding solutions. Both chambers are in recess until Monday, March 24th, and the current doc fix is set expire on March 31st. This leaves Congress with only five legislative days to prevent a 24% cut in doctors’ Medicare reimbursement. The AHCA legislative team continues to monitor the situation and advocate on behalf of skilled nursing and assisted living as the deadline for funding decisions draws near. Many long-term care residents with dementia who are on antipsychotic medications were first prescribed these drugs before ever coming through our doors. They may have first been placed on the medications while in a hospital stay, or while living in their own homes and being supported by family caregivers. Reducing the off-label use of these medications in our centers is an effort we have embraced across our field and we are seeing significant progress. But it’s not something that we can accomplish without engaging and garnering the support of many other stakeholders – our nursing staff, physicians, and our residents’ families chief among them. If communicating effectively with families about the reasons to reduce the use of these drugs has been a challenge for your community, be sure to take a look at the AHCA consumer fact sheet, “Fast Facts: What You Need to Know About Antipsychotic Drugs for Persons Living with Dementia" in our Quality Initiative antipsychotic resource center. Available in both English and Spanish versions, the fact sheet provides background on the issue of antipsychotic medications in persons living with dementia and answers commonly asked questions among family members. It also encourages consumers to get involved with their loved one’s care by asking specific questions to caregivers. Families, understandably, have lots of questions and want to be sure they are advocating for the best possible care for their loved ones. Making sure they understand the issues is the best way to help them work with us to make the best decisions. They can also be a tremendously powerful source of information for staff if we work to effectively engage them as partners in person-centered care. AHCA is conducting our annual, nationwide staffing survey to examine retention and turnover rates for nursing center employees. The 2013 Staffing Survey is being sent to all nursing centers in the United States. All centers are asked to complete and return the survey by Thursday, May 1, 2014. Individual center responses to the survey will be kept confidential. Published results will appear in the aggregate form only. To access the survey online, please go to: www.ahcancal.org/research_data/staffing. Participation in this survey is of benefit to your organization. Reporting your 2013 staffing trends can help your center identify areas of improvement and assist you on your quality journey. AHCA member centers may also be recognized for their staff turnover results through the Association’s 2014 Quality Initiative Recognition Program. In addition, AHCA members can access their individual survey results online through LTC Trend Tracker. Members can compare their staffing data to national and state averages, as well as local peers in aggregate. Individual center data on peers are confidential and not made available to others. Finally, your response helps provide representative and accurate data on our workforce, including creating benchmarks on nursing center staffing at the national and state level. Information from the survey will also be used to develop policy, create quality improvement tools, and advocate to our nation’s policymakers on workforce-related issues. Please email any questions that you may have regarding AHCA’s 2013 Staffing Survey to research@ahca.org. If you participated in the 2012 Staffing Survey and you are a user of LTC Trend Tracker, you may access that information now. You may also access the 2012 Staffing Survey Report on the AHCA website through the Research - Staffing page. 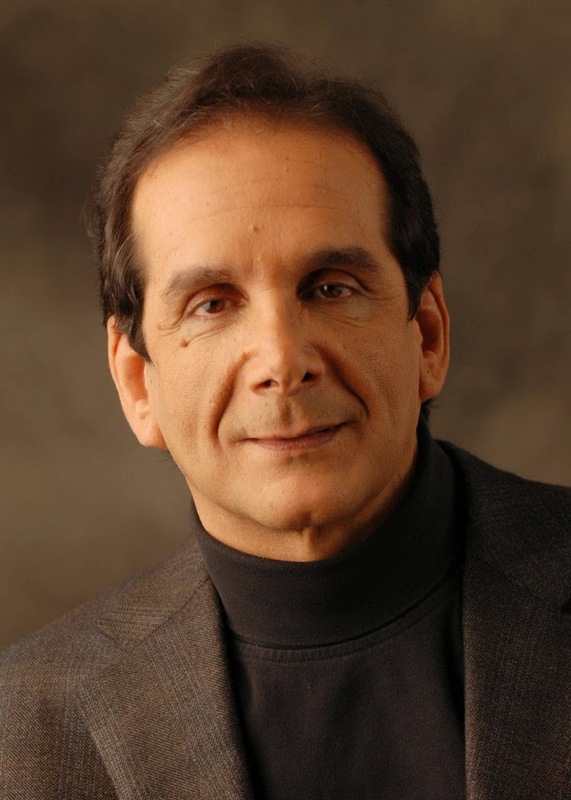 AHCA/NCAL is proud to announce that Pulitzer Prize-winning Washington Post columnist Charles Krauthammer - who has spent over 25 years covering the political scene in Washington - will be a featured speaker at AHCA/NCAL’s 2014 Congressional Briefing. He is one of the most influential opinion-makers in the country and challenges conventional wisdom with practically every word he writes. Krauthammer does more than comment on issues and policies of the day—he helps shape discussion about them. His presentations provide insight and analysis into the goings-on inside the Beltway and on the issues and topics foremost in the minds of most Americans. AHCA/NCAL's Congressional Briefing in Washington, D.C. May 20-21, provides you with an excellent opportunity to meet with your Members of Congress and their staff. You'll also get an update on what's happening on the Hill and hear from multiple speakers including key Members of Congress. As you make your plans to attend Congressional Briefing, we highly encourage you to set up your own meetings with your Members of Congress for Wednesday, May 21, 2014. If you have trouble setting up your own meetings or are unfamiliar with setting up meetings with Members of Congress, e-mail us at congressionalbriefing@ahca.org and we can assist you in scheduling a meeting with your legislator. The deadline to register and reserve your hotel is Monday, April 21, 2014. Thank you to Medline, the Official Sponsor, and to LTC Properties, the Supporting Sponsor. Decorate the halls of your center with these multicolored posters. They are a great way to catch everyone's attention and build anticipation for the exciting and fun filled National Nursing Home Week®. Posters are sold in sets of four. Orders may be placed at www.ahcapublications.org or by phone 1(800) 321.0343. AHCA/NCAL invites all intellectual and developmental disabilities (ID/DD) residential services providers to attend its fifth annual ID/DD Residential Services Providers Congressional Fly-In event next Tuesday, March 25, 2014, at the AHCA/NCAL Washington, DC offices. The event includes an overview of current legislative issues affecting ID/DD residential services providers and their clients, guest speakers (including the Honorable Jim McCrery, Representative Lois Capps, and Congressional staffers), and the opportunity for afternoon visits with legislators on Capitol Hill. This event is FREE to attendees-- whether brand new to the legislative process or seasoned advocates on Capitol Hill. If you have any questions whatsoever about this event or would like to register, please contact AHCA’s Not for Profit & Constituent Services Senior Director, Dana Halvorson. As a former member of the U.S. House of Representatives, Congressman McCrery served on the influential Ways and Means Committee from 1993 through 2008, and from 2007 through 2008 he was ranking member of the full committee. 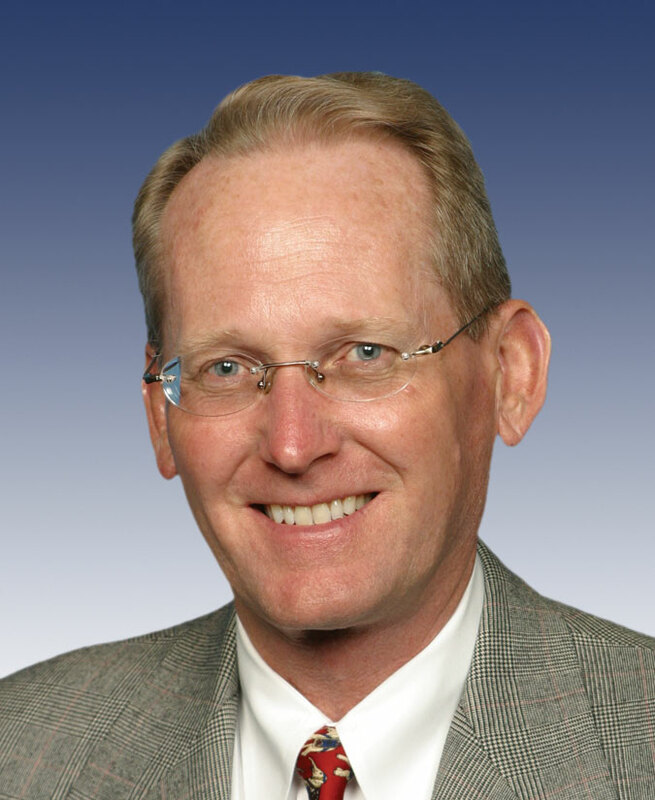 Previously, he was chairman of the Select Revenue Measures Subcommittee and chairman of the Social Security Subcommittee. He also served for 14 years as a member of the Health Subcommittee. As we've mentioned before, AHCA/NCAL supports Rep. Tim Walberg’s legislation, Protecting Health Care Providers from Increased Administrative Burdens Act (H.R. 3633). This legislation clarifies that certain recipients of payments from the Federal Government related to the delivery of health care services to individuals shall not be treated as Federal contractors by the Office of Federal Contract Compliance Programs (OFCCP) based on the work performed or actions taken by such individuals that resulted in the receipt of such payments. AHCA/NCAL believes it is important to advocate against any further expansion of the U.S. Department of Labor’s OFCCP’s jurisdiction. Implementation costs for initial compliance with OFCCP’s requirements could range from as much as $10K upfront; and subsequent compliance could add an additional $5K annually. OFCCP enforces the affirmative action and equal employment opportunity requirements that are written into the federal government’s agreements with government contractors or subcontractors. Medicare Parts A and B, as well as Medicaid, are considered insurance reimbursement agreements, and are outside the scope of OFCCP jurisdiction. Participants in Medicare Parts C (Medicare Advantage) and D, the Military Health Care System (TRICARE) and the Federal Employees Health Benefits Program (FEHBP); may be considered federal contractors or subcontractors subject to OFCCP enforcement. Participants with the U.S. Department of Veteran’s Affairs (VA) are subject to OFCCP enforcement. For the last several years, AHCA staff have worked tirelessly in negotiations with VA to make available nationwide a new VA/Civilian nursing facility contract vehicle, known as an “agreement,” that would excuse NF providers from most of the OFCCP requirements, and replace the current VA contracts. AHCA is currently awaiting the final rule. AHCA/NCAL remains concerned about the lack of clarity regarding OFCCP jurisdiction for Medicare Parts C and D, TRICARE and FEHBP. Most recently, the House Committee on Education and the Workforce Subcommittee on Workforce Protections held a hearing on March 13 on H.R. 3633, which can be viewed here along with the witness list and testimony. Chairman Walberg noted in his opening hearing statement that “as a result of the bipartisan concerns addressed in this legislation [H.R. 3633], the Department of Labor proposed earlier this week a limited delay of its regulatory approach. In a letter to the committee leadership, Secretary Perez promised a five year moratorium of new OFCCP enforcement activities against TRICARE providers.” The Chairman’s entire opening statement can be found here. AHCA/NCAL will continue to carefully monitor this issue and any future developments. It was recently announced that enrollees in the federally-run Pre-Existing Condition Insurance Plan (PCIP), who have not yet found new health insurance coverage through the Marketplace, can purchase an additional month of PCIP coverage through April 30, 2014, while they continue their search. However, these individuals must enroll in a new plan by April 15 to avoid any gaps in coverage. More details can be found in this Washington Post article, and on the PCIP website. National Nursing Home Week® Products Are Now Available! It’s that time of year again! 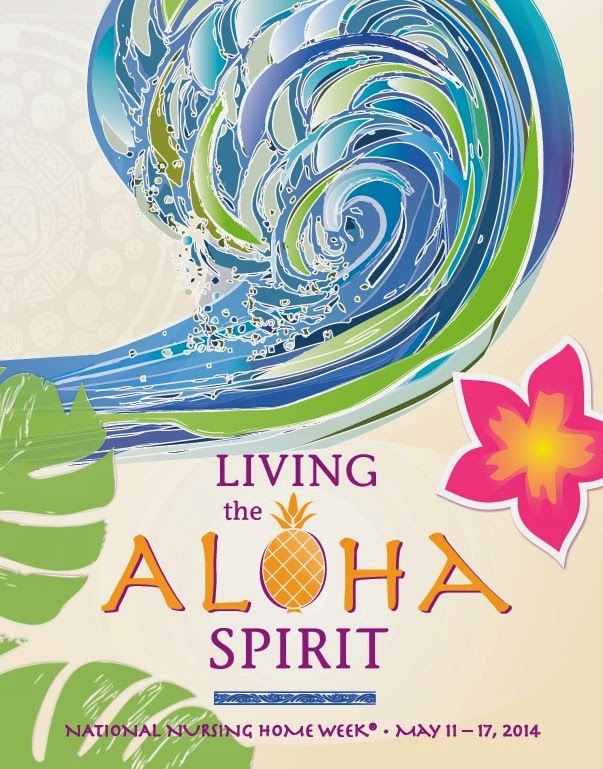 This year’s National Nursing Home Week® theme is “Living the Aloha Spirit”. By Living the Aloha Spirit, we show others love and respect and joyfully share life in order to create a better world. Here at AHCA, we have put together a group of fantastic products that reflects this vibrant theme so that you and your staff can bring Hawaiian joy and happiness to your residents. Visit our online store to view our colorful and fun product line for National Nursing Home Week®. Aloha! In November 2012, CMS issued a proposed rule that requires electronic submission of workplace injuries and illnesses. Ultimately, OSHA intends to make all the electronically submitted information available to the public on the OSHA website. AHCA/NCAL submitted comments as well as signing onto a letter of the Coalition for Workplace Safety. AHCA/NCAL’s comments expressed serious concerns related to patient/resident privacy and inappropriate use of the information by third parties. The Coalition’s letter recommends OSHA withdraw the rule and provides numerous reasons for this request – including OSHA’s lack of legal authority to impose the requirements in the proposed rule. In late 2013, the U.S. Department of Health and Human Services (HHS), Centers for Medicare & Medicaid Services (CMS), announced yet another Medicare auditing program – i.e., the Supplemental Medical Review Contractor (SMRC) audits. According to CMS’ information, SMRC’s will perform and provide support for a variety of tasks aimed at lowering the improper payment rates and increasing efficiencies of the medical review functions of the Medicare and Medicaid programs. The SMRC’s primary task will be to conduct nationwide medical reviews as directed by CMS. The review will be performed on Part A, Part B and DME Providers and suppliers, and will focus on medical records and documents that will help them determine whether Medicare claims were billed in compliance with coverage, coding, payment and billing practices. The focus of the reviews may include vulnerabilities identified by CMS internal data analysis, the Comprehensive Error Rate Testing (CERT) program, professional organizations and federal oversight agencies. Strategic Health Solutions is the CMS SMRC, and has the responsibility to notify CMS of any identified improper payments and noncompliance with documentation requests. Obtain more detailed information on SMRC audits. Obtain a sample SMRC ADR letter. The U.S. Department of Health and Human Services (HHS) and the U.S. Department of Justice (DOJ) released its annual Health Care Fraud and Abuse Control (HCFAC) report, showing that for every dollar spent on health care related fraud and abuse investigations through this and other programs in the last three years, the federal government recovered $8.10. This is the highest three-year average return on investment in the 17-year history of the HCFAC program. According to the report, the federal government won or negotiated over $2.6 billion in health care fraud judgments and settlements in FY 2013. As a result of these efforts, as well as those of proceeding years, approximately $4.3 billion was deposited with the US Department of the Treasury and the Centers for Medicare & Medicaid Services (CMS), transferred to other federal agencies administering health care programs or paid to private persons. Of this $4.3 billion, the Medicare Trust Funds received transfers of approximately $2.85 billion during this period, and over $576 million in federal Medicaid money was similarly transferred separately to the Treasury as a result of these efforts. The HCFAC account has returned over $25.9 billion to the Medicare Trust Funds since the inception of the program in 1997. Due to sequestration in 2013, there were fewer resources for HHS and DOJ to fight fraud and abuses. A total of $30.6 million was sequestered from the HCFAC program in 2013. Obtain a complete copy of the HHS/DOJ report. To obtain an HHS/DOJ press release of the report go to the HHS website. The US Department of Health, Office of Inspector General (OIG) has just released its updated List of Excluded Individuals and Entities (LEIE) database file, which reflects all OIG exclusions and reinstatement actions up to, and including, those taken in February 2014. This new file is meant to replace the updated LEIE database file available for download last month. Individuals and entities that have been reinstated to the federal health care programs are not included in this file. The updated files are posted on OIG’s website, and healthcare providers have an “affirmative duty” to check to ensure that excluded individuals are not working in their facilities or face significant fines. Instructional videos explaining how to use the online database and the downloadable files are available online. Given the penalties and recent government warnings, long term care providers should check the LEIE on a regular basis. On February 20, 2014, AHCA submitted an amicus brief to the U.S. Court of Appeals for the Second Circuit in Bagnall v Sebelius (a case challenging the HHS Secretary’s use of “observation status”), and offered its support to beneficiaries in a lawsuit brought by the Center for Medicare Advocacy (CMA) and the National Senior Citizens Law Center (NSCLC). By way of background, CMA and NSCLC filed the Bagnall v. Sebelius complaint in November 2011. This purported class action sought to halt the U.S. Department of Health and Human Services (HHS) Secretary’s use of observation status and to provide remedies to those already harmed by its application, alleging that the named plaintiffs and other similarly situated beneficiaries were deprived of Medicare Part A coverage by being improperly classified as outpatients, placed on observation status, rather than being formally admitted to the respective hospital. The complaint also specifically alleged that the use of observation status had negative consequences, including: 1) that beneficiaries may have to absorb significant hospital costs that otherwise would have been paid for under Medicare Part A, including co-payment obligations for drugs under Part B cost sharing; 2) that beneficiaries do not qualify for skilled nursing facility (“SNF”) coverage because the observation status does not count toward the three-day prior hospitalization requirement; and 3) shifting the cost of SNF care (subsequent to a dual-eligible’s greater than three-day stay in a hospital in observation status) from the federal government to the states. In the underlying litigation, in September 2013, the U.S. District Court for the District of Connecticut granted the government’s motion to dismiss Bagnall. In dismissing the case, the U.S. District Court stated that the “plaintiffs cannot fully sidestep [Estate of Landers v Leavitt];” a case that held that until a patient is formally admitted to a hospital as an inpatient, the clock does not begin to run on Medicare’s three-day hospital stay requirement to qualify for SNF coverage. Subsequently, In October 2013, CMA and NSCLC filed a notice of appeal in the U.S. Court of Appeals for the Second Circuit on two specific issues: 1) The Secretary’s failure to provide written notification to Medicare beneficiaries, or to require that they receive written notification, of their placement on observation status, of the consequences of that placement for their Medicare coverage, and of their right to challenge that placement violates the Medicare statute and the Due Process Clause of the Fifth Amendment; and 2) The Secretary’s policy of not providing Medicare beneficiaries with the right to administrative review, including expedited review, of their placement on observation status violates the Medicare statute and the Due Process Clause of the Fifth Amendment. AHCA’s amicus brief supports the beneficiaries in Bagnall by stating that “plaintiffs in this litigation have a valid cause of action for injunctive relief to avoid the due process violations inherent in the HHS Secretary’s current approach,” and should be heard in court. We will continue to keep you apprised of this litigation as it unfolds. AHCA/NCAL supports Rep. Tim Walberg’s legislation, Protecting Health Care Providers from Increased Administrative Burdens Act (H.R. 3633). This legislation clarifies that certain recipients of payments from the Federal Government related to the delivery of health care services to individuals shall not be treated as Federal contractors by the Office of Federal Contract Compliance Programs (OFCCP) based on the work performed or actions taken by such individuals that resulted in the receipt of such payments. AHCA/NCAL believes it is important to advocate against any further expansion of the U.S. Department of Labor’s OFCCP’s jurisdiction. Implementation costs for initial compliance with OFCCP’s requirements could range from as much as $10K upfront; and subsequent compliance could add an additional $5K annually. AHCA/NCAL remains concerned about the lack of clarity regarding OFCCP jurisdiction for Medicare Parts C and D, TRICARE and FEHBP. Given the recent developments in Florida Hospital and UPMC Braddock, health care providers with agreements under Medicare Parts C and D, TRICARE and FEHBP have to think about and anticipate how/when OFCCP will begin to take a more aggressive stance in asserting its jurisdiction. AHCA/NCAL has already begun to reach out to other national associations with similar concerns, to work together to stop OFCCP jurisdiction expansion. We are in communication with the American Hospital Association (AHA), who participated in the litigation on this matter, and who have already also formally supported H.R. 3633. We have shared the letter from AHCA/NCAL’s President & CEO, Mark Parkinson, with Rep. Walberg’s office formally endorsing H.R. 3633. The House Committee on Education and the Workforce Subcommittee on Workforce Protections plans to hold a hearing on March 13 on H.R. 3633, and they will introduce our letter of support for the Congressional hearing record. Last week, the Obama administration announced that it would allow consumers to renew health insurance policies that did not comply with the Affordable Care Act (ACA) for two more years. This announcement is the latest in a series of ACA related policy changes, extensions and clarifications by the Administration. More details can be found in this article from the New York Times, and in this Roll Call article. In addition, the U.S. Department of Health and Human Services (HHS) released a 2015 health policy standards fact sheet with more details. If you have any questions relating to the ACA, please submit them to insurancecoverage@ahca.org, and be sure to check out AHCA/NCAL's ACA website. Legislators are largely keeping mum on the prospects of whether or not doctors will get a new payment plan at the end of the month. Draft legislation to repeal and replace the sustainable growth rate (SGR) has been introduced to committee but large barriers still stand in its way. The area of largest concern is the legislation’s sources of funding. The Congressional Budget Office (CBO) says the proposed long-term fix will cost $138 billion over ten years, while unofficial estimates put another short-term patch at between $12-15 billion over nine months. Senate Finance Chairman Ron Wyden (D-OR) acknowledged though decisions will have to be made. Speaking in front of the Federation of American Hospitals Tuesday, he refused to say hospitals would not be used as part of the offset. “This going to be a very challenging time. There is no way to pretend anything else,” he said. Sen. Wyden did, however, rule out the possibility of using health care funding to pay for non-health care programs. This year’s November midterm elections make any cuts to providers all the more visible. Members of Congress on both sides of the aisle are attempting to find a solution that pleases both heath care groups as well as their constituents. Rep. Phil Roe (R-TN) of the GOP Doctors Caucus, a group that is influential in the SGR negotiation process, said the process is still in flux. “It’s been yes, no, and I think they’re back looking at maybe,” he said. A decision will have to be made before March 31st or doctors’ Medicare reimbursement rates will be cut by 24 percent. A scheduled recess the week of March 17th-21st leaves Congress with just ten legislative days to choose a solution. AHCA continues to monitor the situation and is kicking advocacy efforts into overdrive this month in order to preserve funding for the long term care community. The Veterans Health Administration (VHA) has just begun notification to nursing facilities that its pilot Provider Agreements to purchase nursing home care are no longer acceptable. VA Provider Agreements, hammered out with significant input from AHCA, have been tested in a handful of states across the country over the past few years to ensure that the VA proposed rule on the Provider Agreements released in February 2013 is workable. AHCA was informed that this notice is due to the possibility that the final VA Provider Agreement rule might be released this year. According to an email from the VHA, in order “to maintain patient care it is imperative that nursing homes are transitioned from provider agreements to basic ordering agreements (BOAs) that are awarded by warranted Contracting Officers. This must be accomplished as expeditiously possible. VHA’s procurement organization is read in to this requirement and will be prepared to support this transition.” Below are additional points from the VHA email notification. All Veterans Integrated Service Networks (VISNs) are requested to develop a listing by nursing facility where services are provided through provider agreements. The listing shall include the nursing facility name, address, point of contact for the nursing facility, current rates, expiration date of provider agreement, and identify a Contracting Officer Representative (COR) that will be working with your Network Contracting Office to establish BOAs. This listing needs to be forwarded to the Director of Contracting in the Network Contracting Office no later than Thursday, March 6, 2014. Priority will be given to provider agreements with the earliest expiration dates to protect the continuum of patient care. It is envisioned that the Network Contracting Offices will establish short-term 90 day BOAs to each holder of provider agreements for signature with proposed rates. In determining the rate that will be initially offered the contractor the Contracting Officer and COR will consider current rates being paid under the provider agreements, but not exceed authorized contract rates. This is being done to expedite the process due to the volume of contracts, but it is anticipated that some nursing facilities will want to negotiate. The BOAs will contain a continuation of services clause that will permit extending the agreement when necessary. Due to the urgency of this transition facility inspections and contract reviews will be waived for the short-term BOAs. This short-term measure will allow time for longer-term BOAs to be established. The long-term agreements will be in executed in accordance with all regulatory and policy requirements. Network Contracting Offices will be provided approved templates and additional guidance for this effort. In situations where nursing facilities do not agree to required contract terms; plans must then be made to move patients as soon as practical. Close coordination with the Network Contracting Offices is critical for the success of this initiative. If you have one of these pilot VA Provider Agreements, it is important that you read the agreement closely as it may contain wording or a clause that says the VA has the right to terminate the agreement at any point. That being said, as soon as AHCA received alert of this notification, AHCA staff immediately contacted the VA and expressed opposition to this action due to the impact it will have on our member nursing care centers and those VA patients they serve. AHCA members impacted by this notice are encouraged to contact their members of Congress and Congressional staff to express the problems this notice will create -- and to ask your elected officials to contact the VA directly about this matter. Finally, AHCA continues its support for the VA’s proposed rule on Provider Agreements, which, among other things, increases the opportunity for veterans to obtain non-VA extended care serves from local providers that furnish vital and often life-sustaining medical services. AHCA is currently awaiting the final rule. Reference is made to use FEMA in updating existing emergency plans and using FEMA’s best practices and guidance when updating emergency plans. The link to the S&C letter can be found here. The world of health care technology is constantly evolving, with the long term and post-acute care sector making rapid rotations in its ability to engage residents, keep families informed, and produce data for caregivers. In this month’s cover story, Contributing Editor Joanne Kaldy scans the horizon for the latest technology that connects patients, families, caregivers, and clinicians virtually and seamlessly. A Chicago-based company, for example, has a quality measures program that enables real-time capture and reporting of clinical data and shares it at the touch of a finger. At the same time, it enables organizations to save and organize all communication and conversations with families, send instant and automated family notifications, communicate easily with family members, and see all outstanding family questions in one place. It’s worth a look. Medicare’s latest compliance initiative, the Program for Evaluating Payment Patterns Electronic Report, or PEPPER, is underway, and the contractor working on the project is preparing a report for each skilled nursing facility (SNF) that identifies areas of potential improper payments, using data from UB-04 billing claims. In this month’s Management column, Judi Kulus outlines the program’s design and explains why providers need to pay attention to it. She reports that most SNFs will receive their PEPPER report in the mail, addressed to the facility’s chief executive officer or administrator, this May. This year’s 20 To Watch profiles conclude this month with the final eight emerging leaders in long term and post-acute care. Among the crop of dedicated individuals are several executive directors, a dietary aide, an administrative assistant, a chief executive officer, a chief medical officer, and two directors of nursing. Rounding out the tech-focused issue this month is the annual Long Term Care Software Suppliers Guide 2014. “Living the Aloha Spirit” is the theme for National Nursing Home Week (NNHW), May 11-17, 2014. The word “aloha” has a greater significance than as a greeting or farewell in Hawaii By Living the Aloha Spirit, we show love and respect and help create a better world for all. Embracing the Aloha Spirit can be a stage to highlight how your skilled nursing care center provides a harmonious environment for residents, patients, families, staff and any person or group who comes through the door. AHCA is providing lots of support materials here and NNHW themed-products like the poster and T-shirt shown. Be sure your activities staff sees this article so they can plan accordingly. 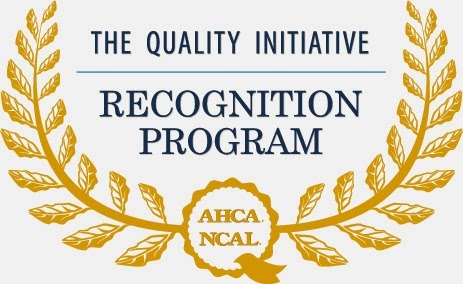 Last year, AHCA/NCAL launched the Quality Initiative Recognition Program to honor skilled nursing and assisted living members for their individual work in achieving the goals of the AHCA/NCAL Quality Initiative. In 2013, nearly 6,500 members were recognized. We know that hard work is ongoing in your centers and communities, and we look forward to honoring even more of you in 2014. AHCA/NCAL is pleased to announce that submissions are open for the 2014 Quality Initiative Recognition Program. Members have until Thursday, May 1, 2014 to submit their data qualifying them for recognition. Once again, the Recognition Program is based on a tiered-approach, where the more goals a center or community achieves, the more recognition they receive. All members recognized through the program will be honored at AHCA/NCAL’s 2015 Quality Symposium in Austin, Texas. By meeting the goals of the Quality Initiative, you are improving the lives of tens of thousands of seniors and individuals with disabilities. While that is reward itself, AHCA/NCAL hopes to take this opportunity to congratulate you and honor you for your amazing work. Since CMS announced (2/18/2014) a ‘pause’ in Recovery Auditor pre- and post-payment review activities on its web page, AHCA and the National Association for the Support of Long Term Care (NASL) sent CMS questions asking for clarifications. The questions, divided into topics for those interested in specific areas of inquiry, follow. We will report on CMS’s responses as soon as we hear back from them. a. Does the ‘pause’ affect the $1,920 therapy cap and exceptions process policy? b. Will Part B therapy clean claims above the $3,700 MMR threshold (e.g. those passing system edits), including those in the 11 pre-pay MMR states, be paid timely during the ‘pause’? c. While the RAC $3,700 MMR reviews are ‘paused’, what instructions are MACs being provided by CMS regarding how to handle these claims? d. Will the MACs be providing any instructions regarding the ‘pause’ to providers? e. While the RAC $3,700 MMR reviews are ‘paused’, will MACs be performing any manual medical review on claims above $3,700? And if so, how will providers be able to differentiate whether an ADR is a legitimate MAC ADR versus an erroneous MMR ADR? f. What actions should the provider take should they receive apparent erroneous Part B therapy MMR ADRs during the ‘pause’ that appear to have letter generation dates after February 21, 2014 for post-payment review, or after February 28, 2014 for pre-payment review? a. When will the RAC Part B therapy MMR ADR ‘pause’ end? b. Does the ‘pause’ mean that claims in pre-pay MMR states not reviewed during the ‘pause’ will be subject to post-pay MMR once the ‘pause’ is ended? c. We are concerned that if CMS attempts to issue post-pay ADRs for all claims above the $3,700 threshold that were processed during the ‘pause’ once the ‘pause’ is over to catch-up on claims missed during the ‘pause’, providers and contractors will be overwhelmed by the immediate administrative burden related to the backlog that will develop during the ‘pause’. Will all Part B therapy claims above the $3,700 MMR threshold during the ‘pause’ be subject to post-pay MMR review once the ‘pause’ is ended, or is CMS considering alternatives to prevent this undesirable situation? d. Will the Part B therapy MMR reviews be conducted by RACs or MACs once the ‘pause’ is ended? e. Will the Part B therapy MMR reviews resume the current pre- and post-pay model once the ‘pause’ is ended? Questions related to beneficiaries: a. During the ‘pause’, may providers issue voluntary Advance Beneficiary Notices (ABNs) to beneficiaries if they determine that Medicare is unlikely to cover the services over $3,700 once the MMR reviews resume? b. Will CMS inform beneficiaries of the RAC ‘pause’ for Part B therapy services above the $3,700 threshold? c. Will providers be furnished materials and/or standardized language (e.g. MLN products) that they can provide to beneficiaries to inform them of the RAC ‘pause’ for Part B therapy services above the $3,700 threshold? a. Will there be a means for providers to verify receipt of the record and status of the claim during the MMR process? b. How will Providers verify that the MMR process has been completed and know the results at the 10 day point? c. How will MACs ensure that they process the RAC findings timely to either pay the claim or issue the denial? Questions related to Congressional action/inaction:a. What will happen if Congress fails to extend the exception process for the Therapy Caps by April 1, 2014? b. If the exception process expires and patients reach the therapy cap, will beneficiaries have any rights to appeal? Yes, the upcoming RAC pause includes the Part B therapy MMR. We are hoping to clarify this on the website early next week. February 21, 2014 is the last day for Recovery Auditors to send ADR letters (complex reviews and semi-automated reviews). This date also applies to post-payment reviews of Outpatient Therapy claims over the $3700 Threshold. February 28, 2014 is the last day for MACs to send ADR letters for the Recovery Auditor Prepayment Demonstration (complex reviews). This date also applies to prepayment reviews of Outpatient Therapy claims over the $3700 Threshold. If a provider has already received an ADR letter, or will receive one of the last ones (sent by the end of this month), the provider must comply with the request and submit the records, or a denial will be made on the involved claim(s). Any records that were previously submitted to the Recovery Auditor will continue to be reviewed, and the provider will receive a review results letter, as usual. Last week, NBC Nightly News with Brian Williams released additional coverage of the observation stays issue. The segment, “How to Avoid the Two Words that Cost Thousands in Medicare Bills,” is an extension of a segment that ran in early January: The Two Words that Cost Medicare Patients Thousands. The recent report includes the full news piece by correspondent Kate Snow, featuring stories of families impacted by observation status as well as tips from Dr. Ashish Jha of the Harvard School of Public Health on how to avoid this billing problem. AHCA/NCAL continues to be an active part of the observation stays coalition, which has now grown to include 25 participating organizations. For more information, view the coalition fact sheet here.